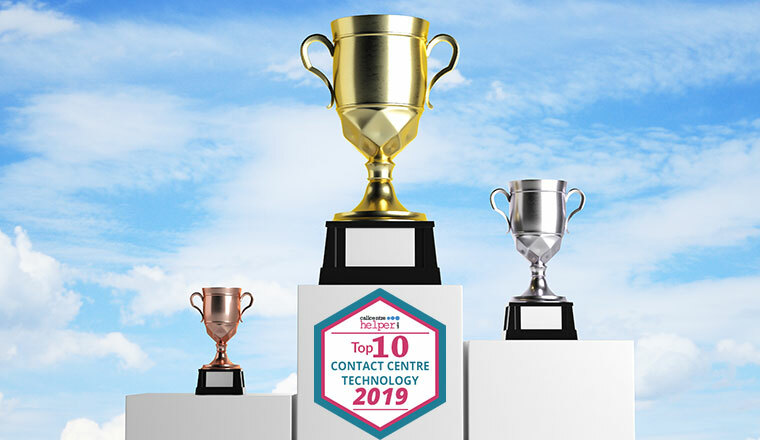 Here are the results of the 2019 Top 10 Contact Centre Technology Awards. Thanks to the 863 contact centre professionals who voted for these awards. It makes these the most impartial of all the contact centre technology awards. Brief overview of product: Obtaining and acting on customer feedback is one of the most cost-effective investments an organisation can make when looking to improve the customer experience and increase satisfaction and loyalty. CustomerSure is an easy way to set up a working customer feedback process, by obtaining opinions at important points in customer journeys. The cloud platform makes it quick to set up simple surveys, connect to your existing IT systems – so surveys are sent at appropriate times – and makes it easy for you to instantly follow up on the feedback you receive, so customers are not left disappointed. Alongside this feedback loop, CustomerSure provide powerful reporting tools – enabling you to report on your preferred satisfaction metric, whether that is Net Promoter Score (NPS), Customer Satisfaction, Customer Effort or your own in-house metric. The platform then allows you to segment scores – by individuals or business units – perform text analysis to spot trends and provides detailed response rate reporting, so you know your surveys are making it through. Software implementation is often harder than it needs to be or fails completely because of poor vendor support. CustomerSure aims to deliver the opposite – providing as much expert support as is needed to ensure that customers see success when they choose us. Making feedback work takes more than a software purchase – it takes systems and training. CustomerSure’s consultants, all of whom have an industry background, work our customers to help set up these systems. We also work with our customers to identify the points in customer journeys where feedback should be collected, to maximise improvements in the customer experience. Also, CustomerSure’s technical team aim to surprise every person who requests support by delivering a fast response that not only fixes their problem but understands their business needs. Brief overview of product: There is a sense of urgency around transforming your customer experience. Failed journeys cost productivity and customer loyalty. So automating end-to-end processes is essential. Netcall Liberty ContactCentre helps organisations streamline omnichannel customer interactions with a 360° view of your customers all on one unified platform. Take your CX to the next level. Use our Low-code to smartly manage multichannel processes, contacts, content and data. Intelligently join-up your customer journey from first point of contact to completed process. Boost performance with useful tech e.g. chat bots and automated payments. Keep customers informed at every step, improve satisfaction and reduce inbound contact. Free agents and mobile workers to work securely from anywhere or any device. Give them a unified customer view on a single browser-based interface. Improve quality with the easy-to-use and flexible agent evaluation. Grow team skills and competencies. Happier employees deliver better service. Extend the benefit of your social channels with secure customer-centric conversational messaging and sms. Remove departmental silos. Integrate with legacy systems and fill the gaps in your technology. Rapidly update process changes, and enjoy 100% fit-for-purpose systems. Real-time data visibility means you can see the impact of continuous improvements. See what’s happening as it happens on dashboards, wallboards and reports. Bring customer experts and IT together to collaborate on CX as one team. Your contact centre is the face of your organisation. Whatever your CX plans, have a clear plan for success. Join up your front, back and remote offices. When you need from the ground up with a collaborative, pragmatic, iterative approach, confidently consider Liberty ContactCentre. The Liberty ContactCentre solution is intuitive and easy to use for everyone. The tech available in any deployment is designed for today, with inbuilt flexibility. Successful CX now, and in the future. Agents work on a single interface which integrates with your legacy solutions. Management see data in real-time. Make informed adjustments to changing demand. Manage process hiccups with automated alerts. Then, quickly see the real reason and make needed adjustments. Train the trainer and free ongoing on-line training improves productivity. It’s a practical, cost-effective and unified approach to transformation. Manage security, governance and your GDPR compliance. Approx. number of UK customers using the product: More than 150 UK contact centres are using Netcall Liberty ContactCentre which we estimate equates to over 15,000 total agents. Typical customers: Over the last twenty years, Netcall has developed solutions to meet the needs of contact centres and their customers. Netcall has built significant experience and reputation within the public sector, working with many NHS Trusts and local government organisations. In addition, we have assisted some of the UK’s largest private companies to drive excellence in customer experience and communications. Brief overview of product: Scorebuddy is a Cloud based staff Quality Assessment (QA) tool used by contact centres to measure and improve overall staff performance. Functionality ensures the handling of all forms of customer interactions, ultimately leading to enhanced end-user customer experience. Over the last year, since our last award from CCH we have been busily improving our solution. Below is a list of new integrations, new features and dashboards, demonstrating our commitment to improving our solution as well as to excellent customer service. Approx. number of UK customers using the product: More than 70 UK contact centres with several thousand agents. Brief overview of product: The Clarabridge Contact Center is the only solution that utilizes AI-powered voice-to-text approach to analysis and is powered by the industry-recognized best-in-class text analytics engine to provide a 360 degree view of all customer feedback and deep insights to improve strategy, processes, and systems. True Omni-Channel: With 50+ pre-built data connectors including emerging channels such as WhatsApp, the Clarabridge Contact Center solution enables businesses to blend and analyze all of their call and digital conversation data (emails, chats, messaging) with other sources such as surveys, social, forums, ratings and reviews to get a true understanding of the holistic voice of their customers. Best-in-Class Text Analytics: Touted as the “brain of CX” by Forrester Research, Clarabridge has the best-in-class text analytics engine that goes beyond basic sentiment analysis to include customer effort, intent, and emotion. A patented theme detection engine uses AI and machine learning to highlight emerging trends and themes. Unique Voice-to-Text Conversation Analytics: With its cutting-edge voice-to-text conversation analytics, the Clarabridge Contact Center is best suited for enterprise-wide and large scale speech analytics deployments. Designed to provide higher precision rate, faster speed with more accuracy, the ability to leverage the same taxonomy across multiple text-based sources, the solution delivers on the promise of true speech analytics. AI-Powered Agent Coaching Capabilities: Unlike traditional contact center solutions, Clarabridge’s AI and Natural Language Processing (NLP) engine automatically scans all the calls and intelligently prioritizes coaching opportunities for supervisors and coaches without having to listen to calls. Fortune 500 Customers Across Verticals: Purpose-built for customer experience (CX), Clarabridge enables thousands of global brands manage their customer feedback and interaction as a big data problem and empower them to transcend from insights to action. Approx. number of UK/other contact centres using the product: The solution is currently used by a range of customers across industries and supports 50-70 contact centers across these customers. Brief overview of product: Talkdesk is an enterprise cloud contact center that empowers companies to make customer experience their competitive advantage. It combines enterprise performance with consumer simplicity, so our customers can easily improve customer satisfaction and increase productivity. Actively Intelligent: Talkdesk IQ infuses the power of artificial intelligence into every element of Talkdesk to drive higher efficiency, cost reduction and improved customer experience. Talkdesk IQ is AI so simple, all you see is results. Powerfully Simple: Get started fast with an implementation that is done in weeks not months. The consumer-app like interface is so intuitive agents and reps can get started with little to no training. Administrators are empowered to make ongoing improvements. Seamlessly Connected: Give your teams access to the information and tools they need to better serve your customers. Talkdesk provides 50+ out of the box integrations with the most popular business tools and open APIs that enable integration across every facet of your ecosystem, so you can design an experience that naturally fits the needs of your customers and your teams. AppConnect, the first enterprise contact center app ecosystem, offers one-click integration that allows you to instantly extend your content center solution with best-of-breed apps. Endlessly Adaptable: Instantly leverage new capabilities that Talkdesk delivers in three updates per year. Front line administrators can make changes quickly, for example to IVRs and routing flows, with clicks, not code. Enterprise Class: Rely on Talkdesk to power your contact centers across the globe. Talkdesk offers the scalability, reliability and security required by large global organizations. The microservices API-driven architecture allows you ultimate flexibility to serve your customers anywhere in the world, on any device and through any channel. Leading global call quality, high availability, investment in the latest security standards and scalability supported by nine global data centers. IQ-powered Assistant automatically handles routine customer needs (cost savings), understand when a live agent is needed and route to an agent along with the relevant context (improved CX). IQ-powered Analytics clusters and reveals trending topics. It can also identify underperforming agents and automatically recommend training topics based on perceived knowledge gaps. IQ-powered Mobile provides automatic customer mood detection so agents are empowered to appropriately and empathetically handle interactions. IQ-powered Self-Service displays estimated wait time and even presents best-fit channel recommendations to streamline self-service. IQ-powered Studio offers routing optimization suggestions and predict the effectiveness of the suggestions, such as reduced call transfers and call duration. Approx. number of UK customers using the product: 8,500 agents in EMEA. 50 contact centres and 2,500 agents in UK. Typical customers: Talkdesk typical customers are companies who are passionate about customer experience, but frustrated by the traditional on-premises and first-generation cloud systems that are unable to keep pace with ever-evolving business and customer expectations. That’s why enterprises are turning to Talkdesk. With enterprise performance and consumer-like ease of use, Talkdesk allows companies to make customer experience their competitive advantage. Talkdesk customers leverage the quick and easy adaptation of the contact centre operations, resulting in increased productivity, customer satisfaction and cost saving. Brief overview of product: NewVoiceMedia, a Vonage Company, is a leading global provider of cloud contact centre and inside sales technology that enables businesses to create exceptional, emotive customer experiences to serve better and sell more. NewVoiceMedia integrates seamlessly with Salesforce, the world’s fastest-growing CRM software, and is the highest rated partner on the Salesforce AppExchange, scoring a perfect 5 out of 5 rating from more than 400 users worldwide. 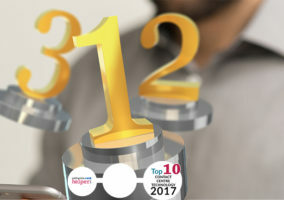 In late 2018, the company was positioned as a ‘Leader’ in Gartner’s Magic Quadrant for Contact Centre as a Service, Western Europe, for the second consecutive year. In November 2018, NVM was acquired by Vonage, a business cloud communications leader. With this seamless integration at the very heart of NewVoiceMedia’s cloud contact centre technology, businesses benefit from unrivaled access to their rich customer data, from every channel. Dynamic call routing, intelligent IVR and omni-channel capabilities mean customers reach the most appropriate advisor, who can resolve issues first time, smooth tricky conversations and add insight to everyday queries, creating personalised customer experiences that set you apart. Typical customers: Canadian Cancer Society, DPD, Ebury, FCR Media, FlixBus, JustGiving, Kingston University, Lumesse, Net-A-Porter Group, Paysafe, Siemens, Shutterstock, Six Pack Shortcuts, Vax, Watch Shop, WorldRemit and Wowcher. Brief overview of product: Since CallMiner’s inception back in 2002 we have always believed in the simple tenet that feedback is a gift and our entire Eureka product line has been expressly engineered under that notion of creating a user friendly, highly customisable platform that enables sharing actionable insights from interaction analytics with all stakeholders within an organisation. CallMiner Eureka is a SaaS-based, customer engagement and speech analytics platform that leverages AI and machine learning to capture, transcribe and reveal insight from 100% of your customer interactions. The Eureka engagement analytics platform transforms the Voice of Your Customers and Agents into operational intelligence at scale with automated performance and sentiment scoring, topic discovery and trend presentation. Automated scoring with sentiment analysis, and sensitive data redaction, creates awareness at scale with evidence to more effectively drive customer experience, contact centre optimization, sales effectiveness and risk mitigation performance. In 2012, CallMiner lead the way in the industry with the first version of a genuine automated performance feedback portal for contact centre agents, supervisors and coaches. Now, with its latest iteration to the CallMiner Eureka platform, Eureka Coach continues CallMiner’s proud tradition of speech analytics superiority in the marketplace continues. Inspire and motivate higher achievement. Role-based dashboards encourage a culture of optimisation and enables a shift to an enthusiastic bidirectional performance engagement with agents and coaches. SELF-IMPROVE: Agent dashboards, providing personal & team comparative performance measures, encourage self-improvement. Because there is greater acceptance by the agent community (and coaches) of the trusted objectivity of the interaction scoring, Eureka Coach encourages agent self-improvement and enhances quality outcomes to motivate performance enhancement. While Eureka Coach is the latest integrated iteration of our Performance Feedback portal, it is based on the proven notion that consistent, unbiased scoring and feedback provides the best way to ensure that agents and coaches are on the same page. It provides the basis for constructive bidirectional performance improving dialog. Approx. number of UK customers using the product: Our customers are spread across many contact centres in the UK, there are approximately 50 contact centre locations benefitting from Eureka. Eureka Coach is currently being rolled out and around 10 locations benefit from it. Typical price for a 100 agent solution: SaaS Annual Subscription License for CallMiner’s Eureka Coach (which is combined with the baseline CallMiner Eureka Analyze platform) would be approximately £110,000 which would support 60,000 hours per year of call mining. Brief overview of product: injixo is an award-winning workforce management application for contact centres of all sizes. The feature-rich WFM suite helps contact centres optimise and automate their entire workforce management process. injixo covers the full bandwidth of functionalities contact centres need,from forecasting and scheduling to intraday management, reporting and agent engagement. Our simple pay-per-use pricing model enables small and large contact centres alike to experience the full power of professional WFM – with maximum flexibility, ultimate scalability and minimum effort. injixo WFM empowers contact centres to facilitate and automate their entire workforce management process. This allows our customers to spend less time and effort on manual planning and scheduling – instead they can focus on what really matters: their employees and customers. Brief overview of product: The Noble Enterprise Contact Centre Solution is tailored to meet each client’s unique business needs. Noble offers a unified suite of inbound, outbound and blended omnichannel communications, strategy planning and resource management tools for companies of all sizes, from enterprise organisations to small and mid-sized businesses. Our Premise, Cloud and innovative premise/cloud hybrid platforms include ACD, predictive dialling, blended omnichannel processing, compliance, recording and monitoring, IVR, messaging, interaction analytics, campaign strategy and decisioning, compliance, workforce management and gamification. Offering a Single, Unified Platform and Long-Term Stability – Our founder is still our CEO and Noble Systems has not undergone changes of ownership. Our components for inbound and outbound management, digital recording, universal queue, IVR, text-to-speech, WFM and analytics are integrated to work in a single, unified platform. Noble provides the most complete and robust contact centre portfolio of solutions designed to continuously measure, improve and align operational performance with the customer experience to increase customer loyalty and reduce cost of operations. Noble Systems is the #1 market leader for outbound technology for the past six years (Frost & Sullivan – 2018, 2017, 2016, 2015, 2014 and 2013). Delivering Flexible Platforms Tailored to Client Needs – Noble Systems has developed our solution so that our clients may use our product as a turn-key solution or as a point solution to integrate into their existing enterprise systems. We offer a variety of deployment options, including local and distributed environments, as well as single-code Premise, Cloud and Hybrid platforms, so that users don’t sacrifice features or performance regardless of which model they choose. The open design of our solutions allows integration with external applications to improve efficiencies and deliver a unified environment. With our ‘building block’ approach and scalability, companies can right-size their Noble platforms to fit their needs and to support their growth. We deliver on our promise and as a result have been growing from positive word of mouth for three decades. Future-Proofed Technology – Noble protects our clients’ technology investments through a robust Intellectual Property program, targeted at securing our products for the future. Our in-house IP team works closely with employees to identify inventions and unique solutions, and contributing team members are recognised when a new patent is issued. This culture of innovation gives our clients the advantage of knowing that the technologies they rely on for their daily operations management are protected, and they benefit from the new features and applications that become available through these efforts. Today, our IP Portfolio has more than 175 patents, and is continually growing. Superior Client Relationships. Our commitment to client relationships has allowed us to grow our business largely through word-of-mouth and referrals. In our early years, user referrals generated almost 100% of our business, and they remain an integral part of our new business acquisition. We succeed through the success of our clients. Our SNUG, COFFee and SNAP programs promote client interaction with our users around the world. Typical price for a 100 agent solution: Noble’s contact centre solutions are priced on a concurrent user basis. Noble Enterprise Premise Solution starts from £150,000 for a 100 seat solution. Noble Enterprise Cloud Solution starts from £80,000 per annum for a 100 seat solution. Brief overview of product: The Genesys Customer Experience platform combines orchestration and journey management to provide omni-channel contact centre best practices for great customer experience with compelling business outcomes. It integrates channels, context and the ability to optimise an organisation’s workforce and processes. With an Omni-channel Customer Experience Centre solution, a company can deliver consistent and hyper-personalized customer experiences across all channels, touchpoints and journeys. The value we provide our more than 11,000 customers worldwide is evident across organisations and industries of all types and sizes. We are proven in diverse industries including banking, insurance, telecommunications, finance, retail, government, travel and hospitality. We offer cloud and on-premises solutions for businesses of all sizes and sophistication stages all over the world – across small to mid and enterprise level. We power more than 25 billion of the world’s best customer experiences each year. Innovation – Genesys has a long history of innovation and leadership in the customer experience and customer engagement market as demonstrated by recognition by industry analysts, including Gartner and Forrester. In addition, the company has over 1,000 patents. Approx. number of UK customers using the product: We have more than 11,000 customers worldwide. Hundreds are UK contact centres. Congratulations to all of the winners, and many thanks to everyone who took part in the voting. Avaya is the Best among all. has anyone heard of ‘Touchstar’ – if so what do you think? What about magnetic north! anyone using that in england? ciboodle is a great product for any call centre. It is very scalable and extremely customisable. I absolutley agree with Bob’s comment above – I know a lot of people running this in their Call Centre environment who are very pleased with the flexibility and service provided by CallScripter. Unlike a lot of other software applications, it is also not overpriced! I’ve implemented Avaya contact centres and used Magic North, but has anyone any experiences with SAP BCM? SAP BCM is very good when implemented alongside other SAP Products, since it integrates straight out of the box. Hey have any body used vmukti software dialer they are claming about the real time report with hosted version as well as intgrated training solution.they are saying it is opensource as well . please let me know if somebody has used this ? Good information. There are lot of small players in Europe who provide the contact centre solution and are specific to geography. They are very good in customizing to needs of that geography and language etc (as named by others). When you look at international market there are few players (as specified in Gartner and other leading research organisations) who are rated in leader segment. some are Cisco, Genesys, Aspect, Avaya, Interactive Intelligence etc. All of these are good wrt technology and feature they support. (more or less same) the major differentiator would be flexibility in terms of working with existing infrastructure and multi vendor environment. Take a look at Smartdesk Systems. We use their software to make sure we don’t ever miss a call that we have promised to a customer. We also use their outbound IVR solution. They do other stuff that we don’t use but maybe interesting to others. We chose them because their stuff works and it is priced incredibly cheaply. This info may help Parveen above. I most definitely agree with Ashokas comments as well. Look beyond the big boys in the market and you’ll be surprised what you find. Hi, anyone heard about InConcert call center solutions? It’s based on asterisk. thanks in advance for your help. Does anyone have experience with Cisco? We have a large call center and are looking at their enterprise software solution. I use a company called orbtalk to supply my SIP trunks with cisco call manager. Call quality is good and the helped me through the set up procedure. All these people are out of there mind or at least have crazy money to spend. Look for a local crm based system for maybe 10e a month per user and an asterisk based system that comes with call recording and everything as standard. also do not go crazy with WFM software go hosted again. Why spend 100k a year for 100 seater when you can spend 500euro (edf use it) both built on erlang c anyway! Does anybody have any comments specifically on the annual leave management features, or timesheets, in these systems? We’re working with a call centre at the moment to provide these functions because their existing software doesn’t have proper hr support. Does anybody have experience on Voxtron application ‘agenTel’? Can I get a comparison chart featuring these softwares? I would like to know the main advantages of SAP BCM than a standard CTI (for exampel Genesis). There is a lot of good call centre software out in the market. We are invited to a large number of product vendor briefings.Call Monitoring,Call Recording Software are the most widely used all over the world. The Customer Service Standard Edition of “Avaya Dialer” Costs $ 242,000 for 100 agent call center, which is really very costly for new starters. I am planning to start a 50 agents call center with “My Sales Dialer”. Because its really cost effective and productive dialer. also they are the first to bring mobility in call centers. I don’t know why “My Power Dialer” is not listed here. Why don’t you list Cisco? The validity of your report is questionable since you’re excluding the leader in IP communications. 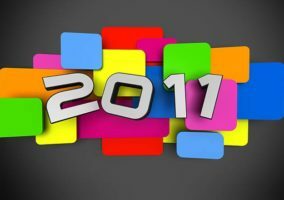 It would be interesting to see the ratings for 2012. 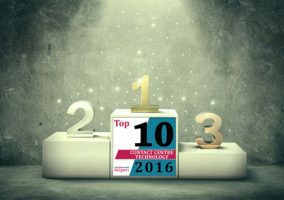 Is there going to be a release of top 10 Call Centre Software companies for 2012? I really recommend to look at the light and modern solutions like LeadDesk. We were a bit uncertain to go for SaaS first but LeadDesk has worked in an excellent way. And cost is just a fraction from Cisco and Avaya, I have worked with them, too. Call-centres just leak money. Either I need to re-evaluate my real worth or the industry needs to do their due diligence before forking over money to these sharks. And Yosi ? £50,000 for 100 agent solution ? If that sounds like a good deal to the managers and directors reading this then the call centre industry is royally screwed. So much more money than sense. I think I better re-brand, modularise and encumber my bespoke solutions quickly and get their bloated mass to market before natural selection does to contact centres what it did to the dinosaurs. New to telesales and have just taken over small outbound team have chance to change CRM system. Currently telephone system not linked in anyway to existing CRM. If i get new crm system what can the combined systems do . . .what are the benfits of combining the two systems? What software of application fits best a very small call centre (from 1 to 10 agents)? Pro’s: inexpensive, fast implementation, very good software and intuitive interface (very easy to manage data, campaigns), very impressive data and campaign management tools (customisable status retries), good support – do not need an IT team to manage. Con’s: occasional voice-quality issues (over VoIP), network reliability issues (intermittent down-time). I do have to say, Telstar was in the process up upgrading their infrastructure which contributed to our issues with downtime and voice quality. Overall, I would rate them quite high in quality of service and value. Would love to hear feedback on Aspects On Demand platform (for smaller call centers). We are very happy with Avaya and track our metrics with PureShare Dashboards. Works great! Is there a Software which provides subtitles for the Recorded voice logs ? Thanks for posting! As for marketing automation, I really like GetResponse’s features.